TUCSON — If you’ve never visited Tucson, Arizona, you should change that. And as soon as you can. Among the many reasons this is so is Saguaro National Park (pronounced Sa-WAH-ro) bookending Tucson on both its eastern and the western borders. In the eastern district, visitors will find regions of the Coronado National Forest and the Rincon Mountains. Head to the western district, and you’ll find the majestic Tucson Mountains. Wasson Peak, a panoramic 4700-ft hiking destination, stands out on the horizon. Sentinel Peak is also a good destination to trek for a breathtaking view of downtown Tucson. First established as a national monument back in the 1930s, Congress designated Saguaro a national park in the 1994. In total, the park covers just over 90,000 acres and sees hundreds of thousands of hikers, campers, naturalists, and other visitors each year. The most popular time to visit is March. But Saguaro National Park is probably most famous for its dense population of the saguaro cactus, which has been known to grow over 50 feet tall and live as long as 20 years. Indeed, this prickly monster shares an intimate relationship with the national park, the Sonoran Desert, and the state of Arizona at large. The saguaro flower is the Arizona state flower, and, throughout history, the saguaro has been a big part of desert life in the southwest. 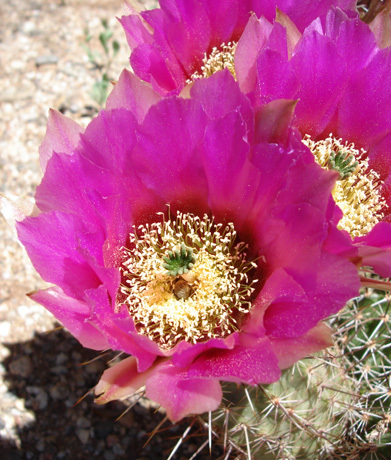 Not only do these cacti provide a habitat for a number of different desert creatures, but gatherers (human and animal alike) can harvest the plant’s edible, fig-like fruit. The saguaro has come to symbolize the American Southwest unlike any other plant — even to the degree that areas that are not the cactus’s natural habitat (like Texas and New Mexico, for example) identify with it. A plant with a much less favorable relationship to Saguaro National Park is buffelgrass, an invasive species that the Parks Service is working to reign in and eradicate from the area. All in all, this particular corner of the Sonoran Desert delivers vast diversity in terms of wildlife and geological structures, as well as a rich selection of hiking trails and campgrounds (including some located on Arizona’s National Scenic Trail). Definitely worthy of your bucket list. Want to explore Saguaro National Park? 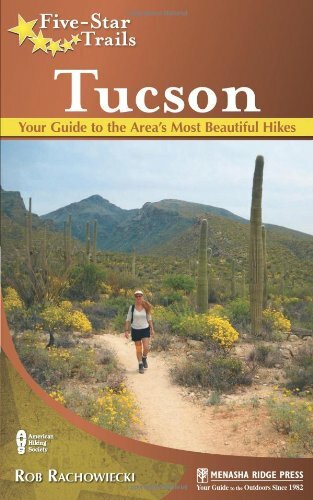 Check out Tucson-local Rob Rachowiecki’s new hiking guide to Greater Tucson, Five-Star Trails: Tucson for more information.